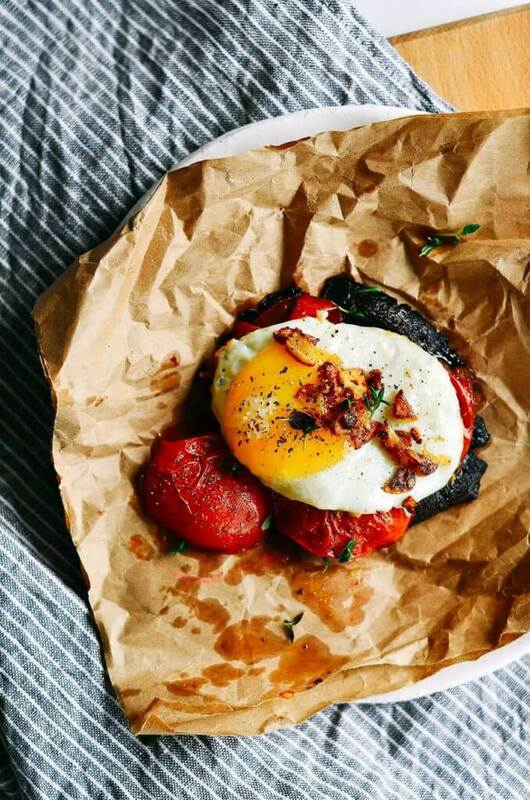 This sunny dish of breakfast goodness made my morning. 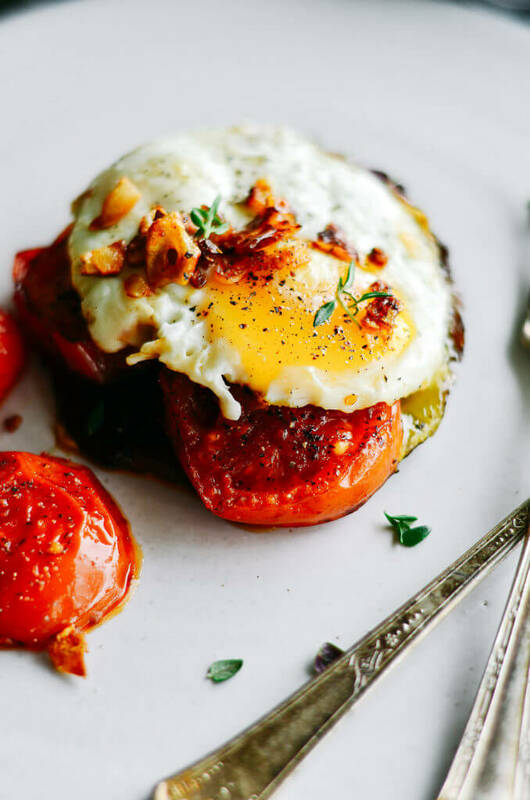 I saw this pin on Pinterest about a tomato egg toast. So I decided that I had to make a whole30 version! 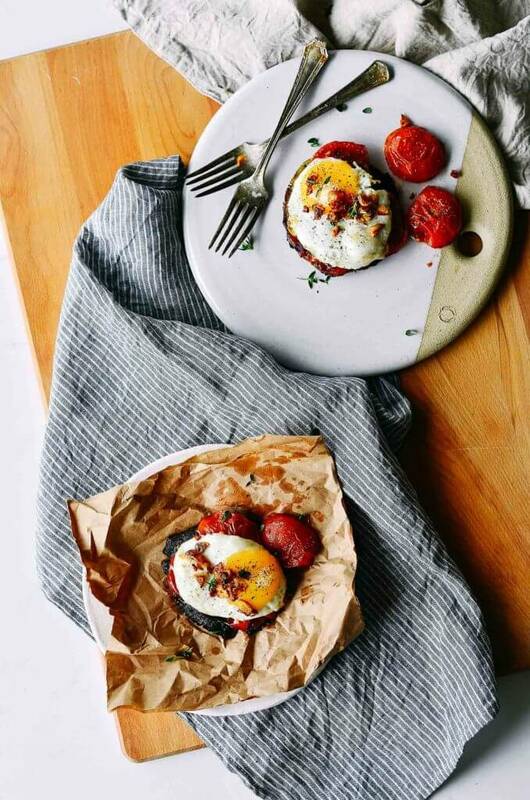 Pan seared portobello mushrooms serve as the “toast” in this dish. 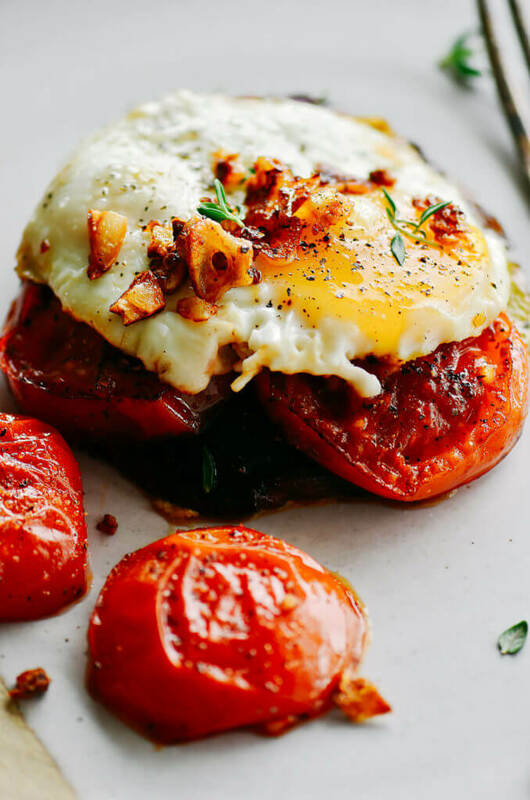 Roasted tomatoes add a bit of a color pop and a dazzling rich vibrant flavor! And that gorgeous sunny delicious egg on top; can’t beat it! It was everything I ever wanted out of egg toast- without the carbs! My new studio space is taking such stress off me; I am literally so thrilled!! Being able to leave everything up and not having to haul all my dishes out from under my bed and work in a tiny kitchen is the best gift ever. And makes waking up to the thought of work a joy instead of a pain (followed by tears!!.. not literally. Okay, maybe literally tears some days). Due to the fresh inspiration from having a new and clean space to work in, making these roasted porto mushroom toasts were definitely top on the to do list. Yes, it was the very first thing that I did once I got organized. 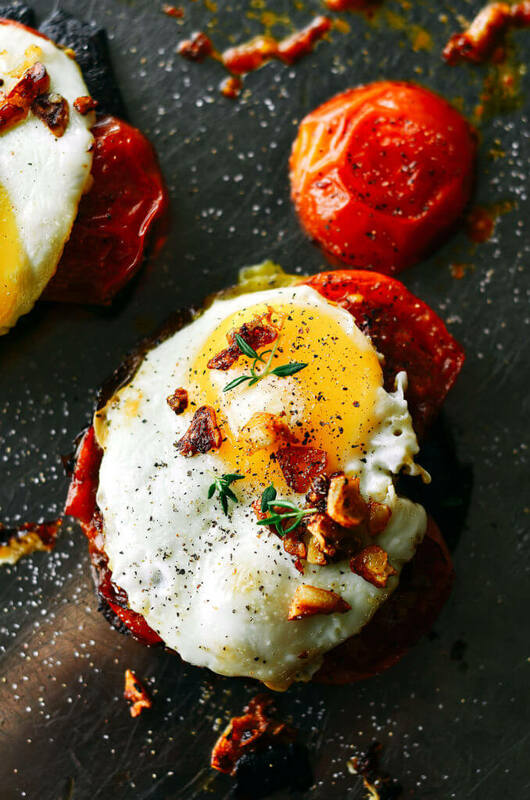 This easy whole30 breakfast was a refreshing change of pace for me. I usually just reach for a slab of leftover baked chicken and 1/2 an avocado. But having something more “like a meal” was kinda fun, I have to admit! It only takes a few minutes to whip up this beautiful spread. I topped my “toast” off with some fresh thyme. That was a good move. I have been LOVING sprinkling a little fresh thyme on my dishes lately because it adds an extra depth of flavor that is incredibly fresh. This recipe has a lot left up to you. Basically, you can make the egg how you want. You can cook the portobello more… or less. And you can choose to use fresh or roasted tomatoes. I mean, you can’t really go wrong any way with this. Except maybe eating it cold! I tried that and it was terrible!! Hahaha. Oh! I almost forgot! 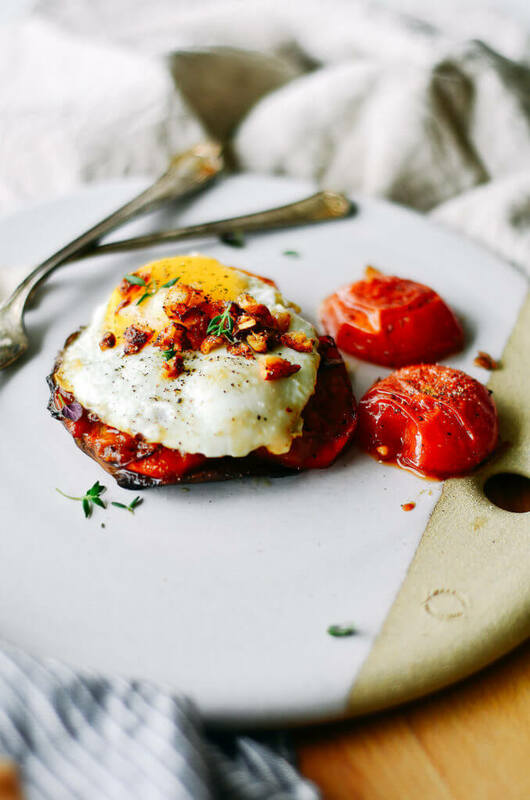 You can totally make this with my most popular 5 minute paleo sandwich bread instead of a portobello if you aren’t doing whole30. 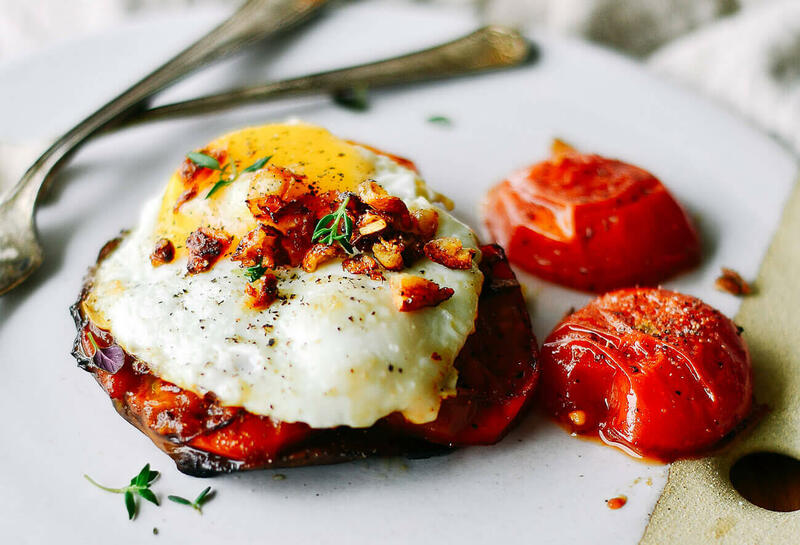 Whole30 Pan Roasted Portobello Egg "Toast"
Beautiful egg toast with gorgeous roasted tomatoes and pan roasted portobello mushrooms. Topped off with crispy garlic bits, fresh thyme, and sea salt and fresh cracked pepper. 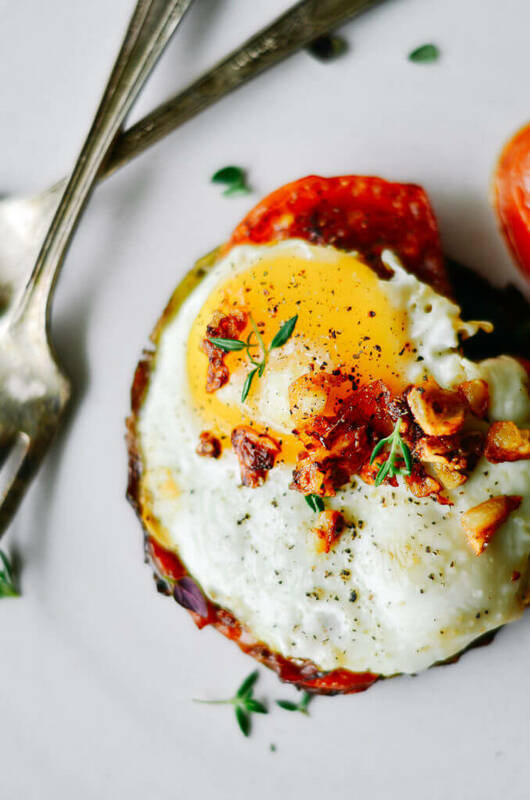 A quick, easy, whole30, and paleo breakfast! Slice the portobello mushrooms in half. Drizzle a large fry pan with olive oil. Place the mushrooms in the pan and cook for about 10 minutes over medium heat on the stovetop (about 5 minutes on each side) until soft and kinda crispy on the edges. Once the mushrooms are cooked set them aside. 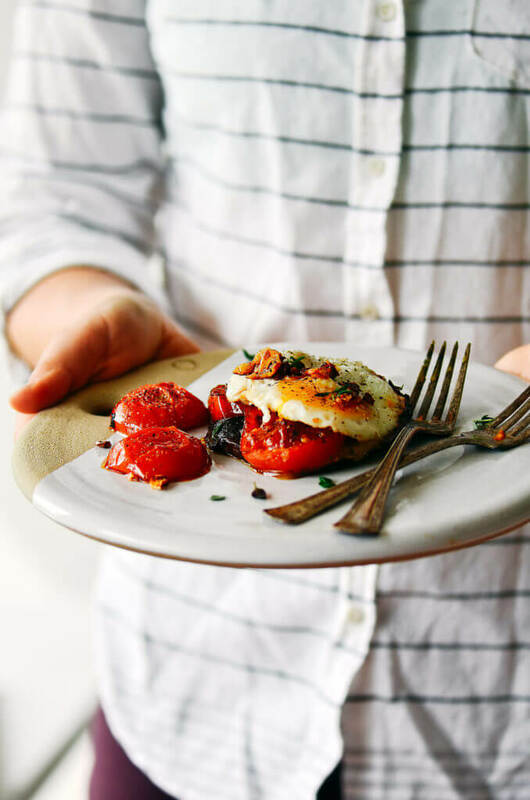 Cut tomatoes in half and cook in the fry pan with a drizzle of olive oil (enough olive oil so they don't stick or burn). Cook for about 10 minutes (about 5 minutes on each side). Once the tomatoes are cooked remove them from the pan and set aside. Mince garlic and sauté with a drizzle of olive oil for about 1 minute until golden and crispy. Then set aside. Fry the eggs (to your liking). Then layer and assemble the mushroom "toast". Top with crispy garlic, fresh thyme leaves, sea salt, and fresh cracked pepper. All of the deliciousness and almost none of the carbs– I am SO in. This is definitely going to be a new staple! Thanks to Kaylie for the good reciepts. I have for 3 weeks change my food. 5 kg lost so cool. Sorry for my english. I am from Austria (Europa). Just made this for breakfast today, it was delicious & colorful. 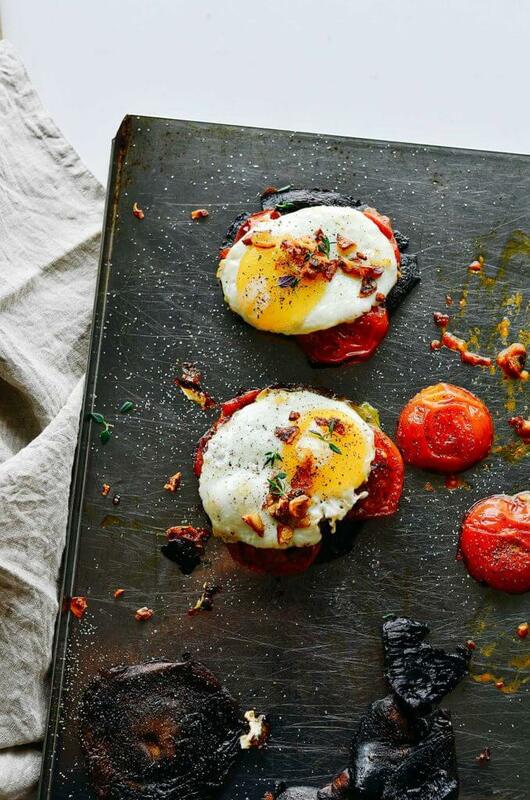 Heirloom tomatoes happen to be in season & added another level of flavor. Definitely on the list to make again!! This recipe looks interesting. I am unsure about how to “cut in half” the portobellos. Across, or straight down? Thanks! I love your images. Id love to know more about this part of your process. I think Im following you on Instagram? 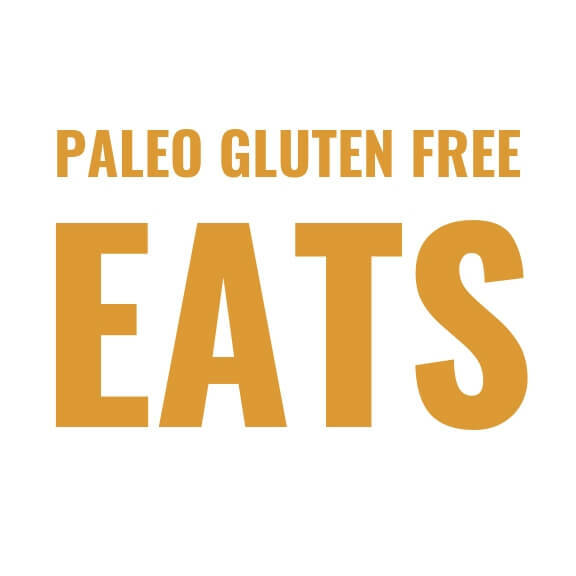 Or youve liked some of my images, which are not about great photography but me doing my best to eat wholistically and paleo and tyr to make my meals look pretty too. But youve kicked it up a notch by presenting an amazing visual (with a kind of classic but Caravaggio”ish” lighting. Love your compsition. I’d really like some insight. Like how did you get those blueberries in your sweet potato recipe to pop with a look of purple crystals or something? Soooo cool. I’ll definately be trying out your recipes! Hi Dee, thank you for your interest in my creative process. I’m glad you enjoy it. I freeze my blueberries on a baking tray when raw and then pull them out to thaw to get a lovely frost. 🙂 Hope that helps. I wish it said what heat to cook this on? Low/Medium Hight etc for the veggies. Is it different for each one since you want to some of it crispy and others to be softened? Great note! I adjusted it. I cooked mine over medium heat. Are you baking these or doing it on a stove top?! Hi Amy, these are made on the stovetop. This looks amazing! And I loved then paleo oatmeal! I am also wondering about slicing the mushrooms – if you halve them how will they stack? I really want this for dinner but don’t want to butcher my lovely portabello mushrooms! Just made this for breakfast today. Great recipe. Lovely flavors. I didn’t add the garlic because I forgot though. It’s one of the best breakfasts I’ve ever had… period. Could the portobello be marinated in a balsamic-evoo-garlic-herb marinade before cooking? The balsamic marinade would also go well with the roasted tomatoes. Hi Bob, that sounds like a delicious idea! I’d give it a go.